Father Brown is an British drama TV show created by Rachel Flowerday, Tahsin Gunerand is produced by BBC Productions, BBC Drama Productions, BBC Worldwide. The show stars Mark Williams, Sorcha Cusack, John Burton. 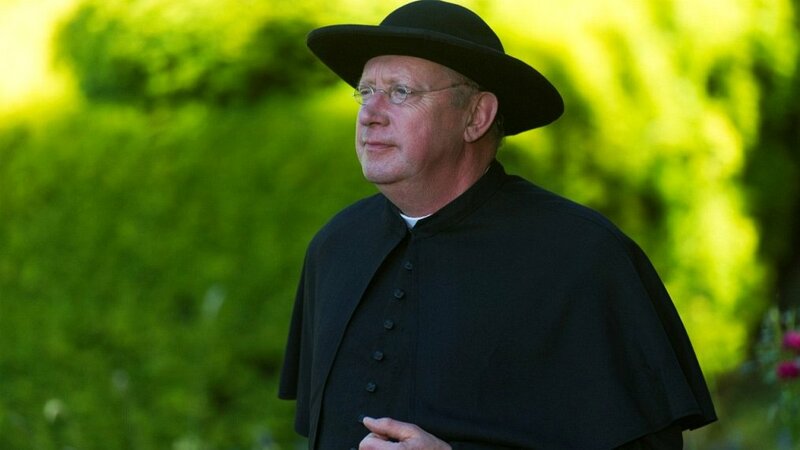 Father Brown first aired on BBC1 on January 14, 2013. The series currently has a 7.7 out of 10 IMDb rating, based on 5042 user votes. BBC1 has officially renewed Father Brown for season 6. The release date for Father Brown season 6 is PENDING. This post has the most up-to-date information on the status of Father Brown season 6 as we continuously monitor the news to keep you updated. Subscribe to our updates below to be the first to know Father Brown season 6 release date, time and any related news. Father Brown Renewed: When does Father Brown return? Current show status: BBC1 has officially renewed Father Brown for season 6. The release date for the new season is PENDING. We will update this post with more details as soon as they become available. If you want to get notified of the season 6 premiere, please sign up for updates below, and join the conversation in our forums. You can buy and watch episodes on Amazon. You may also visit Father Brown’s IMDb page. What time does Father Brown come on? Father Brown airs Monday 9:45 AM EST on BBC1. Father Brown is TV-PG rated, which means it contains material that parents may find unsuitable for younger children. Many parents may want to watch it with their younger children. The theme itself may call for parental guidance and/or the program may contain one or more of the following: some suggestive dialogue, infrequent coarse language, some sexual situations, or moderate violence. Subscribe below to receive updates and news about Father Brown. See previous episodes and other Father Brown related items on Amazon. Will the characters of Lady Felicia and Sid Carter be returning in an upcoming season? I second Ms. Thatcher’s question. I distinctly miss the characters of Felicia and Sid and would love to see them return. It’s a fun series. Miss Felicia and Sid too. Good chemistry and often made me laugh a bit. Still, hope the show continues. Father brown will not be the same without Sid & lady Felicia… hope that it gets renewed. I also miss Sid and Felicia and would love to see them back, I think it would be hard to take if they got rid of father brown, even if they put another character in as father Brown. I, too would like to see Sid and Lady Felicia come back. Hopefully there will be a season 6 and those characters will come back as well. I love watching Father Brown !! I too love those 2 characters; Lady Felicia has grown in her character over the Seasons and I absolutely love her outfits. Love Sid’s quirky character and his loyalty to Father Brown. I have watched all the past Seasons on Netflix so I certainly hope there is a Season 6. Felicia and Sid are essential! Yes so true I loved Felicia and Sids caracteres. I do hope they come back!! Oh yes I do hope that Felicia and Sid would come back. Enjoyed their caracteres so much! LOVE this series. Di think Lady Felicia and Sid should be returned however. Praying for a Season 6 also. LOVE this series. I think Lady Felicia and Sid should be returned however. Praying for a Season 6 also. I agree with above comments and I really miss Sid and Lady Felicia. Show is not as good without them. Love this series! I also hope lady Felicia and Sid return!